3 tomatoes, halved and grated. Add the salt, curry leaves, chilies, spices, and tomato. Stir and allow the tomatoes to cook for about 5 minutes. Add enough water to make a nice gravy, allow the gravy to cook for about 5-10 minutes. 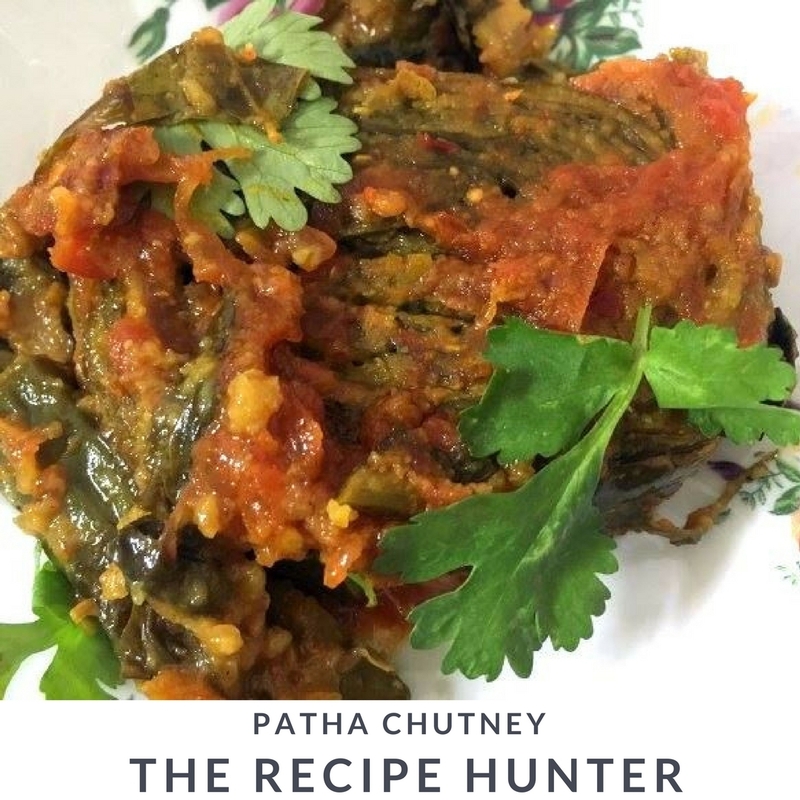 Add your pieces of patha and simmer. Do not stir, or the patha will break up. Carefully flip the pieces over in the pot and cover with the gravy.